What do you cook for dessert for your fiancée’s birthday? 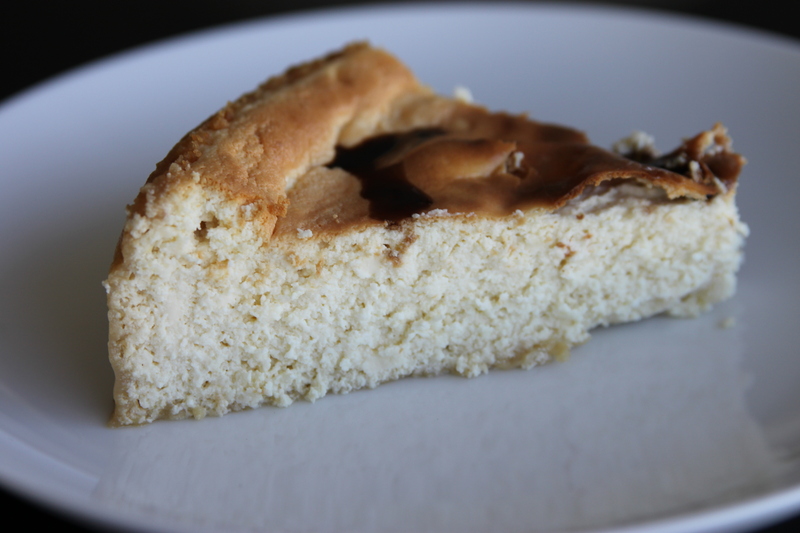 Ricotta Cheesecake. My lady spent some time living in Florence, so I felt the pressure with this one as I was competing with a 75 year old Florentine woman. 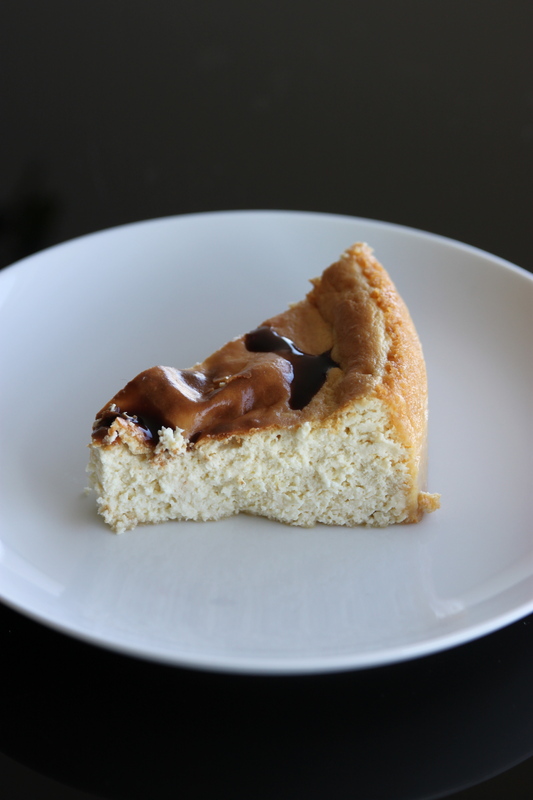 Here is the result, a decadent dessert that is surprisingly easy to craft and very difficult to mess up. Enjoy! It’s rich, delicious and sure to not last long. 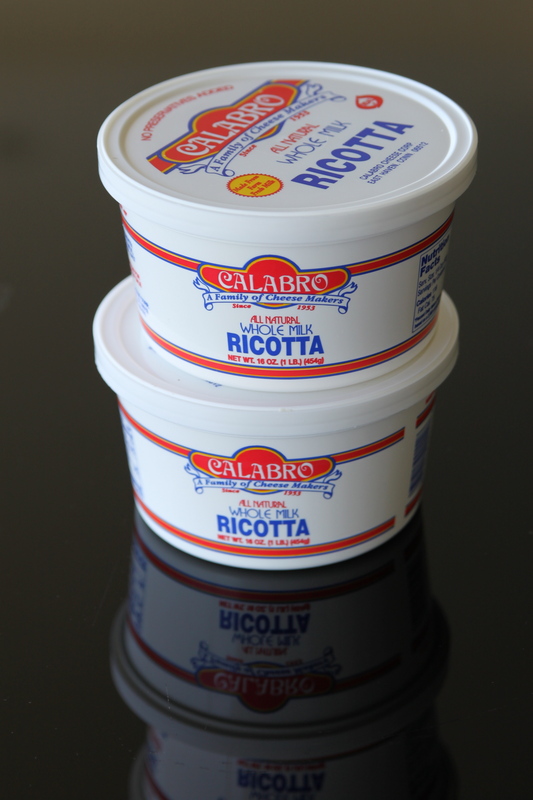 If you have access to high-quality Ricotta, splurge on it. You want full fat for this too, we are not trying to make this healthy. Standard American ricotta will work just fine as long as you strain it for about 30 minutes to get rid of the excess water. 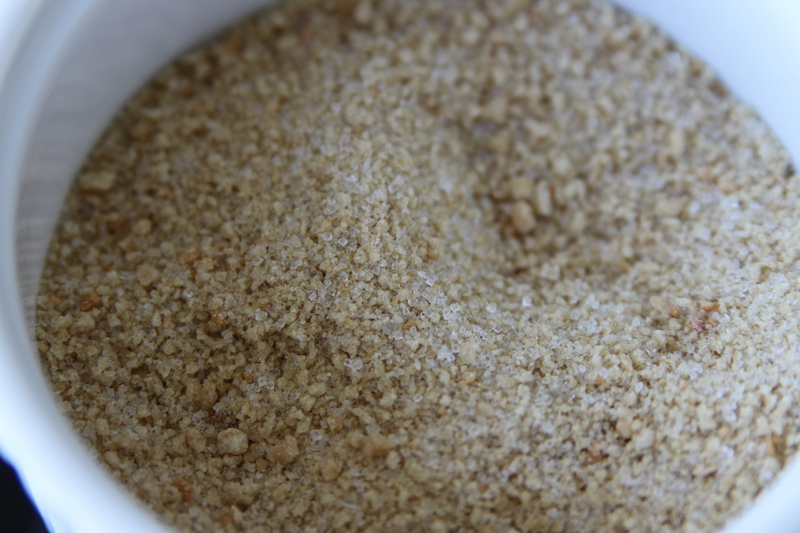 A mixture of sugar and breadcrumbs for the “crust.” Don’t overmix! Having the ingredients at room temperature makes the preparation much easier. A little bit of butter, sugar and breadcrumbs to make sure your cheesecake pops right out. Remove the extra crumbs and sugar by giving the pan a couple of gentle taps. In all its glory. 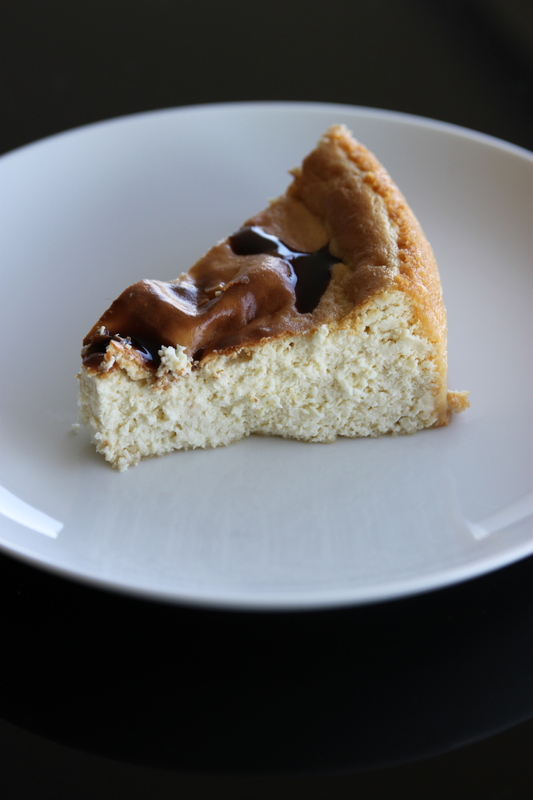 You want the top of the cheesecake to brown giving it some depth. 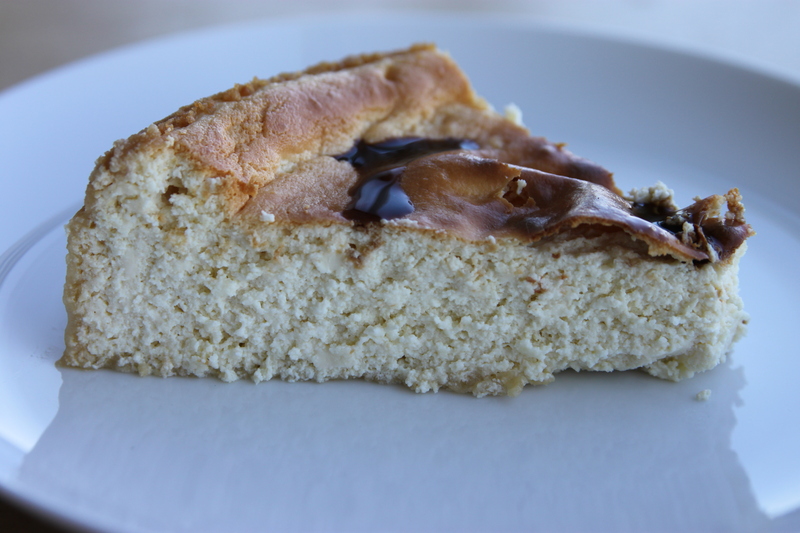 I drizzled a little bit of balsamic glaze on this slice, not necessary though. Who knew cheese could result in this? Moisture is key. Nobody wants a dry cheesecake! 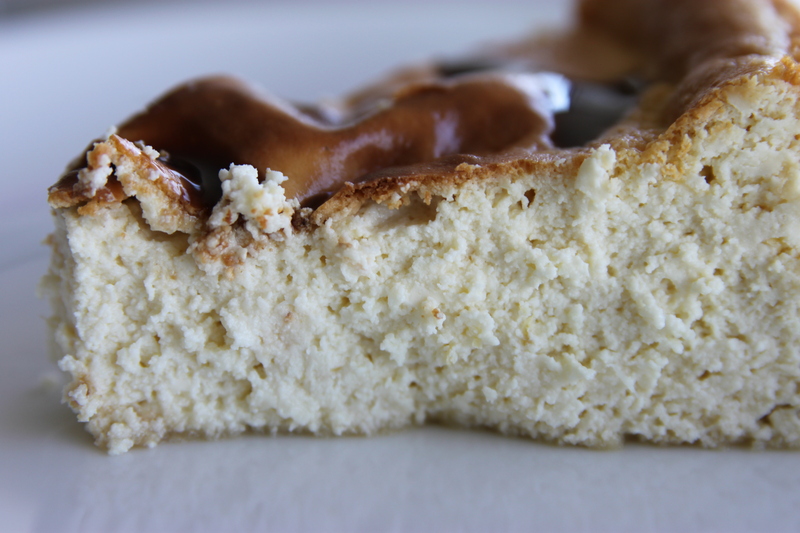 The cheesecake will form a natural crust without the extra work of forming one prior. Serve small portions though, this cake is rich! Make this ASAP everyone. I was amazed how easy this was. Preparation time of about only 30 minutes, then you bake, and its ready to go. Perfect dessert for a dinner party or to bring to a friends. It will last for three days in your refrigerator. 2) In a small bowl, combine 3 Tbsp. 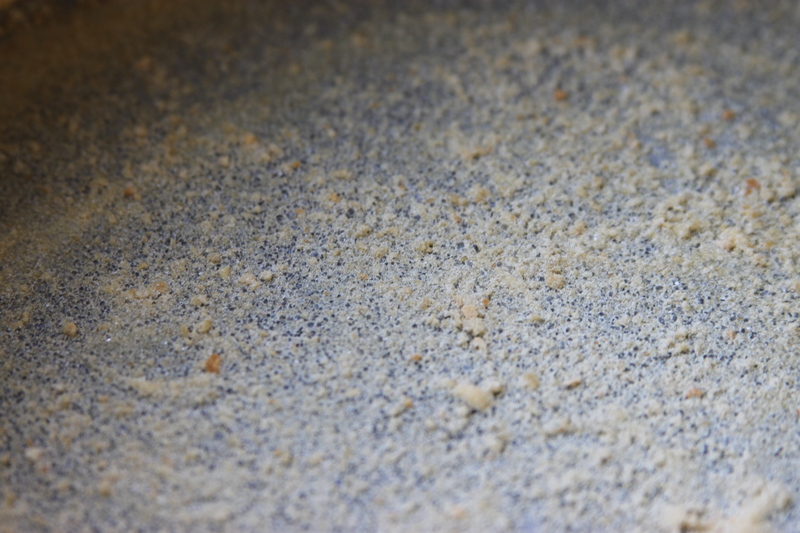 Bread Crumbs with 1 Tbsp. granulated sugar. Mix with a fork to break up the crumbs and sugar. Then, coat a 10-inch Springform pan with approximately 1 Tbsp. of butter. 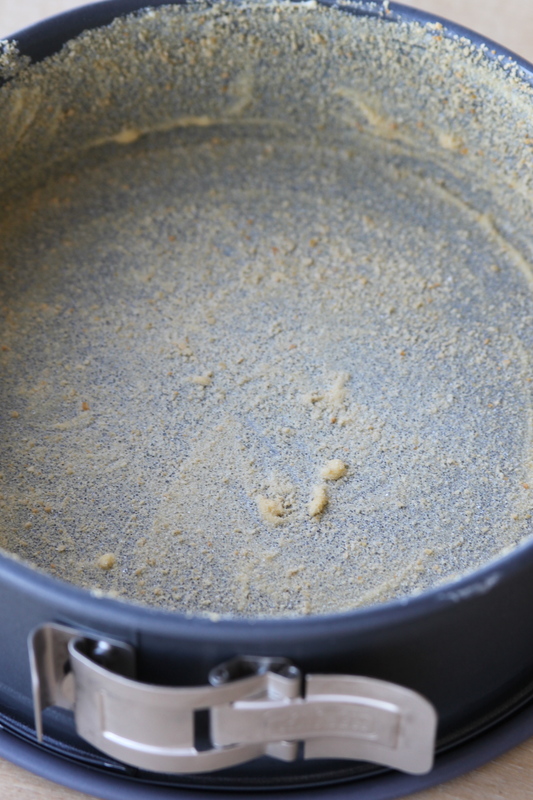 Once the pan has been coated with a thin layer of butter, sprinkle in the sugar and breadcrumb mixture. Roll the mixture around the pan allowing it to coat the interior. Once complete, gently tap the pan over a sink to remove any excess. Place the pan in a freezer until the ingredients are ready to be added. 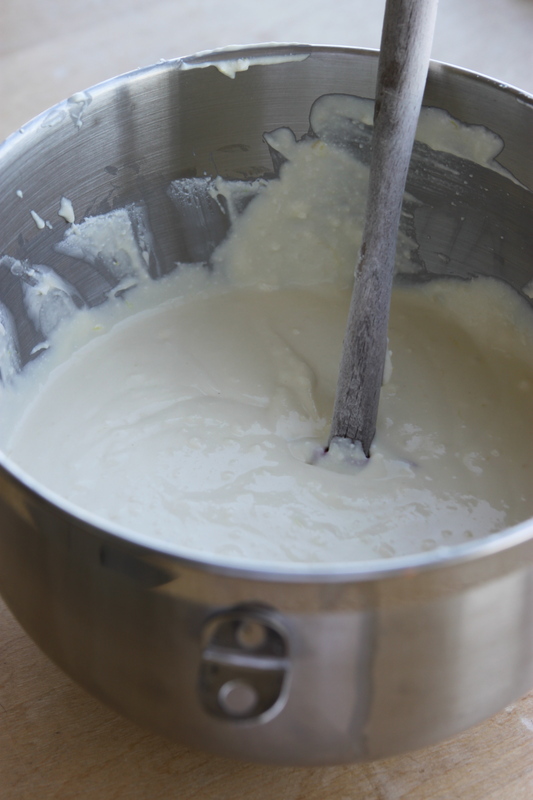 3) Using a stand-mixer is best for this, but you can also do it by hand. You do not want to overmix though so be careful–your only goal is a smooth batter with the ricotta and cream cheese properly combined. Add the ricotta to a large mixing bowl. Then, mix on low speed for approximately 20 seconds to loosen it up. Then add cream cheese and mix on low for approximately 1 minute. Then, add the following ingredients in this order one at a time while the mixer is still running on low speed: granulated sugar, eggs, vanilla, brandy, sea salt and lemon zest. You only want to have the mixer running for about 5 minutes and on low speed. That gives you plenty of time to get everything mixed together. 4) Remove the coated Springform pan from the freezer. Then, slowly add the batter to it. Let the batter rest for one-minute, then smooth the top if need be. 5) Place in the middle-rack of the oven and cook at 325 F for 1 hour to 1 hour and 15 minutes. 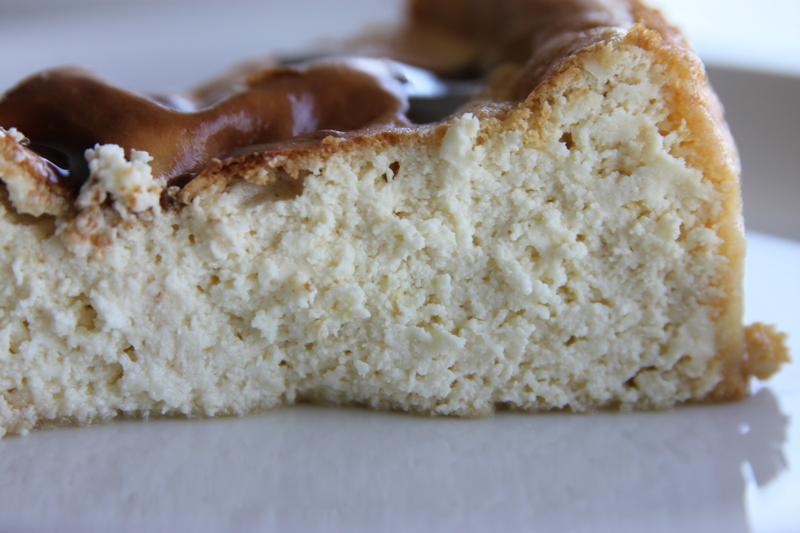 You want the exposed portions of the cheesecake to brown. When you remove the cake, it should have some jiggle to it! It will set as it sits. Place the cake on a wire cooling rack. 6) Once the cake has been out of the oven for about 45 minutes and cooled to room temperature on the wire rack, place it in the refrigerator for 3 or 4 hours before serving. The cake is best served cold. 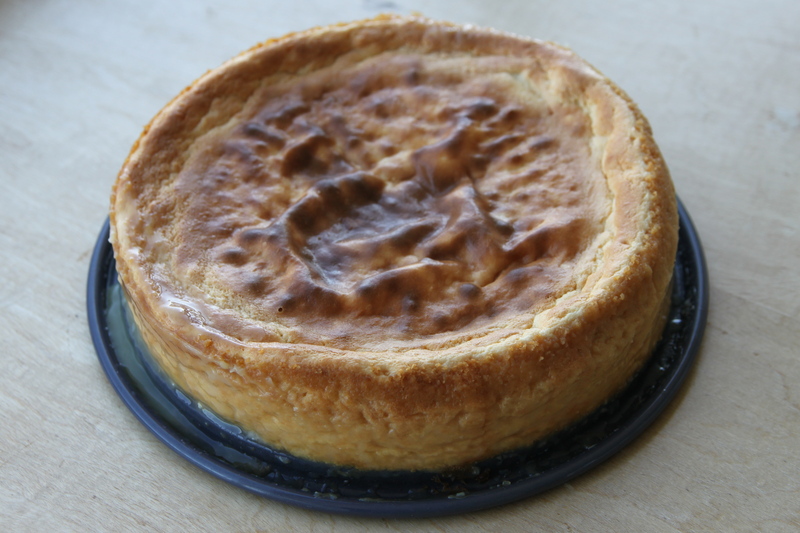 Make sure to cover the cheesecake while it is refrigerating so it retains its moisture. Remove the Springform pan exterior and serve in slices.